Mobile-first is the first strategy on Marissa Mayer’s mind in resurrecting Yahoo from its state of decay. 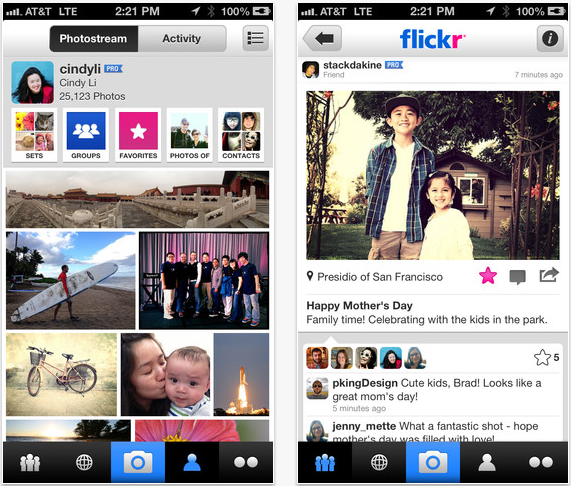 Next on the list to be revamped, which sorely needed an upgrade, is the photo-sharing platform Flickr. That’s right, Internet, you may be getting your wish. 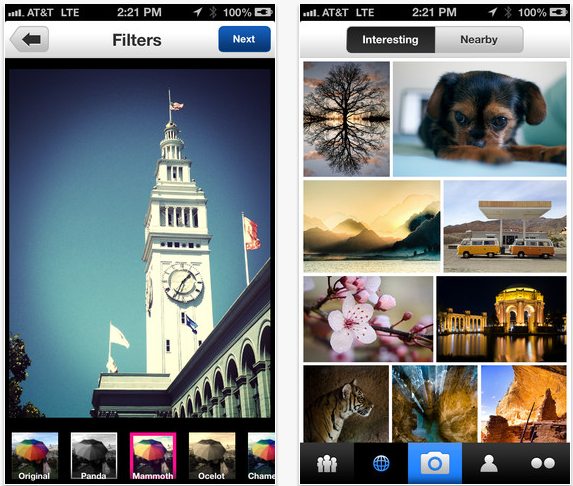 And now that filters have hit the big time, Yahoo has jumped on the bandwagon and released an updated iPhone Flickr app today that integrates filters and completely reimagines the user experience. At the height of its popularity and pre-Yahoo acqusition, Flickr was hands down the best desktop photo sharing and publishing app. Now Yahoo is struggling to catch up in the wake of newer, more social, more mobile-friendly tools. Adding filters and transforming Flickr’s iPhone app into an Instagram clone might be a move in the right direction, but there’s also a good chance that it may not sit well with existing users, many of whom have been loyal users and prefer the professionalism and traditionalism of the site. While there aren’t too many changes to the app’s design – Flickr has kept its gray gradient on a white navigation bar – the app has been retooled from the ground up to look more like today’s photo-sharing apps. There are now two sections dedicated to discovering new photographs on Flickr. The far left button in the navigation opens up a page for photos that your contacts and groups are sharing. Like Instagram and other apps, you can scroll through the photos in a vertical swiping motion. Or to see more of an individual contact’s photos on the same screen, like viewing images on Facebook, you can scroll left and right. And of course users can favorite, comment, or share the images they’ve discovered in these sections. The button next to it that looks like a globe opens up a page of recommended images from around Flickr, labeled “Interesting” and “Nearby.” “Interesting” shows you cool photographs that deserve your attention, but it’s not clear if the photographs are personalized recommendations based on your interests, or if it’s simply photographs that are trending on Flickr. “Nearby” uses your current location to display the photos published by users around you. The central button is the in-app camera and the focus of the update. We have to hand it to Flickr for adding a zooming feature, which Instagram sorely lacks, but aside from that there’s nothing else with the app that would pull us away from Instagram. Yahoo’s 16 filters, like Twitter’s, are sourced from Aviary. We went hands on with comparing Instagram’s filters Twitter’s filters, and Instagram wins out by a mile. The same conclusion goes for Flickr’s Aviary filters. Flickr’s app also offers users their own profile page called “Photostream” where you can view your own photos and photos by groups or contacts you’re following, and the photos that you’ve favorite. Has Yahoo sold out with this update? The addition of filters will no doubt attract a crowd of smartphone photographers, which amateur and professionals might have to come to grips with. But if you’re looking for a new platform to display your professional photographs that hasn’t been influenced by Instagram and the rest of the trend-hopping photo apps out there, we’d recommend that you sign up for 500px. Hopefully, Flickr is still able to hold on to its cherished spot as a hub for professional photo-sharing, but this deviation will certainly test that. BMW M6 Gran Coupe: An M6 with two more doors, or a more stylish M5?